After a successful 35-year run, Spokane-based arts organization Allegro Baroque & Beyond has announced that this Sunday’s Royal Fireworks Concert will be its last. The official announcement comes just days before the popular outdoor concert in Riverfront Park, on Sunday July 28, with music starting at 9 pm. Beginning in 1978, the annual summer concert has attracted as many as 30,000 attendees in past years, says Allegro Baroque & Beyond board president Laura Bracken. The concert features a 60-piece orchestra consisting of musicians from around the country, and occasionally international performers, who play George Frederick Handel’s Musick for the Royal Fireworks from the park’s floating stage. The concert’s finale is choreographed to a fireworks display. The decision to end the long-running event stems from a decline in financial support over recent years, Bracken says. The cost to put on the concert — which offers free seating in the Riverfront Park Lilac Bowl — reached a high of $50,000 some years, she adds. Funds primarily came from private donations to the nonprofit organization. Reserved seating for this Sunday’s concert is also offered on the rooftop patio of the Spokane Convention Center. Tickets are $60 a person or $420 for a table of eight. Along with the decision to end the Royal Fireworks Concert, Allegro Baroque & Beyond’s artistic directors and co-founders, Beverly Biggs and David Dutton, both recently announced their retirement from the organization, Bracken says. Because of their departures, Bracken says at this time she’s not sure if the organization will continue to host any of its other annual events, or if there are any plans to fill Biggs’ and Dutton’s roles. 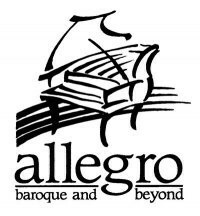 Allegro Baroque & Beyond also organizes the Music in Historic Homes concert series, offering intimate concerts performed in historically significant Spokane homes, as well a main stage series consisting of three period-music concerts held at The Bing Crosby Theater. Read the official press release below.